Thanksgiving Morning: Who Doesn’t Love A Parade? Happy Thanksgiving to you and your family from Off to Neverland Travel®! For more than 90 years, Thanksgiving morning in the U.S. has been synonymous with the Macy’s Thanksgiving Day Parade®. Several generations have made it a tradition to tune in and see the floats, performances, and of course the giant balloons! The Walt Disney Company’s roots in the Macy’s Thanksgiving Day Parade® begin back in 1934 when Walt Disney helped design the first Mickey Mouse balloon. Measuring at 40 feet tall, the hand-painted Mickey Mouse balloon debuted in what was then called the Macy’s Santa Claus Parade. 25 handlers dressed in Mickey and Minnie costumes escorted the Mickey balloon down the parade route. Also in that parade were four smaller balloons that Walt Disney created with the help of Tony Sarg – Pluto, a 34-foot-tall Big Bad Wolf, a 31-foot-tall Little Pig, and a 12 ½-foot-tall Horace Horsecollar. 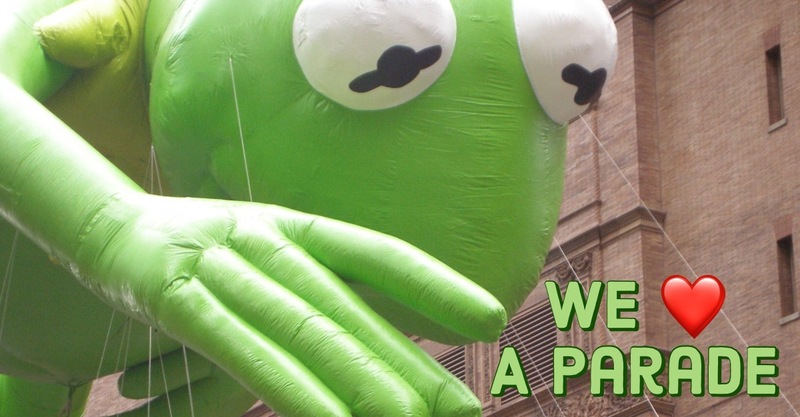 Since then, many of our favorite Disney characters have appeared in the Macy’s Thanksgiving Day Parade®. This years parade, which starts Thanksgiving morning at 9am Eastern, will be no exception. If the Olaf balloon were made of actual snow, it would be enough to cover the surface of the Matterhorn Bobsleds Mountain at Disneyland® Resort.